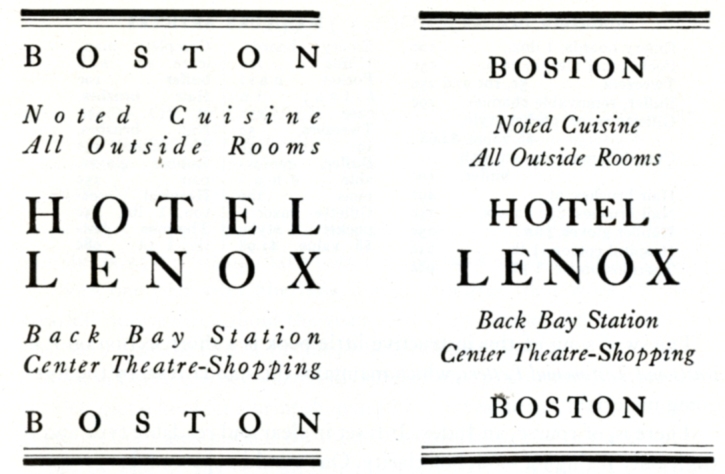 Benjamin Sherbow: The First Typographer? Looking back at Sherbow’s significance in 1930, Calkins recalled that before Sherbow it was difficult to find a competent printer/compositor who would set his advertisements with aesthetic intelligence. 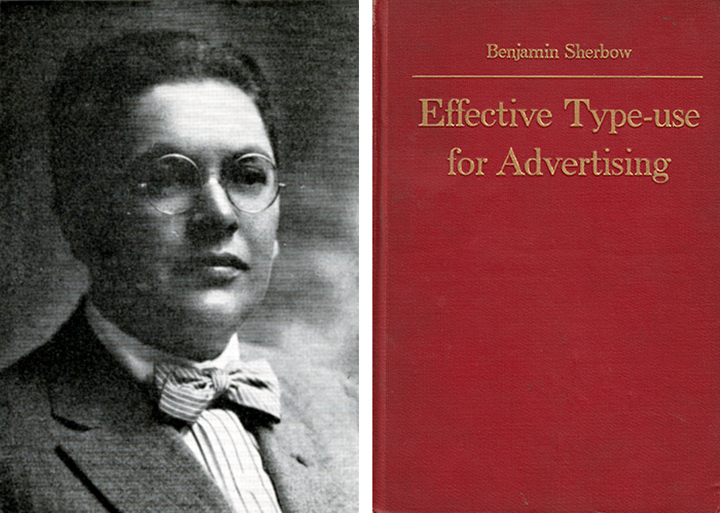 “Into this stagnant pool of indifference to the decent use of type Sherbow jumped with both feet,” noted Type Talks, “proselytizing and arguing with recalcitrant printers and (presumably) clients.” Sherbow was not a radical; he believed in type’s functional role: “In advertising print, typography is merely the servant of the advertising idea . . . Any willful eccentricity of arrangement that hinders the clear flow of the text injures that chances of the advertisement to get itself read and understood.” Sherbow was hailed as “The First Advertising Typographer” in Type Talks, the magazine of the Advertising Typographers Association of America. 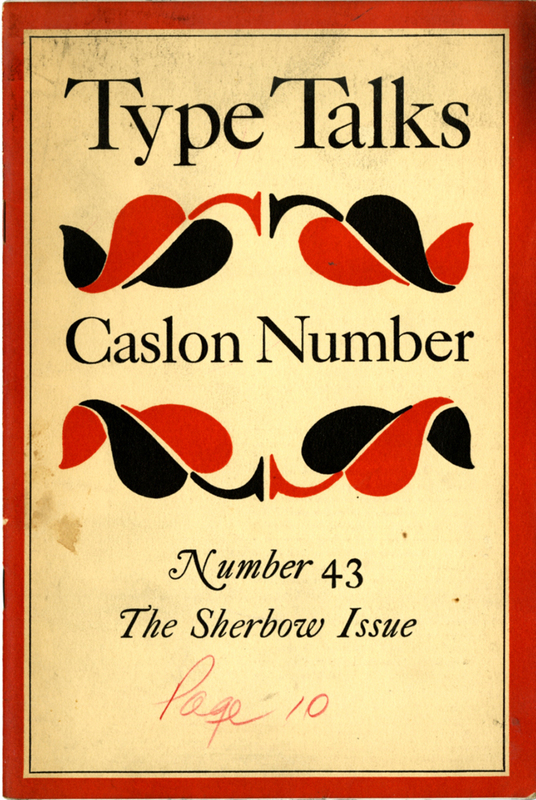 In 1916 he authored “Making Type Work,” a manifesto about type that “caused a minor revolution in a field which needed one very badly,” wrote Type Talks. 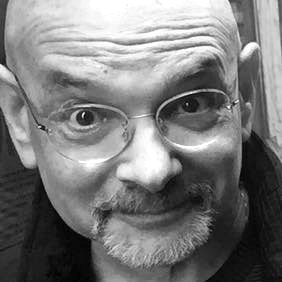 His introductory text included this idea: “I shall try to avoid laying down rigid rules,” he wrote. “Print depends for its effect not alone upon the face of type selected, but also upon its size; not alone upon the type itself, but also upon its spacing, its arrangement, its combination with other types. 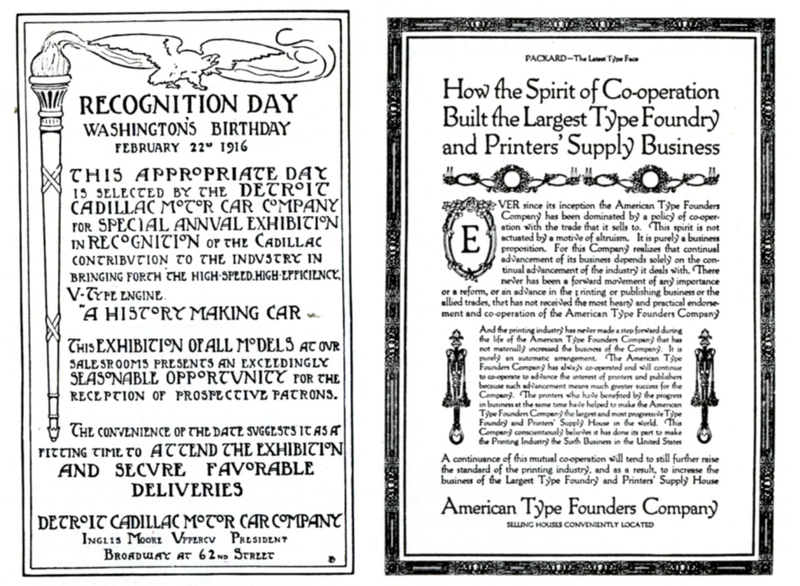 . . Good typography can add to the force of the final impression, but action depends on what the words say, not how they look in print.” This may sound self-evident, but as Type Talk noted, in Sherbow’s day ‘decent, clean typography’ was very much the exception.